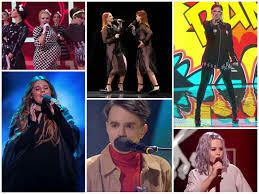 The Ukrainian national broadcaster UA:PBC, after the drama that it caused after its unreasonable demands to national final winner Maruv and the denials from the three runner ups (, Freedom Jazz, Kazka, Brunettes Shoot Blondes) to represent the country in Tel Aviv, announced that it will be withdrawing from Eurovision 2019. The drama has ended in a tragedy for the Ukrainian national broadcaster , as its Zurab Alasania confirmed through his Facebook account . Through his post explains the process they followed after Maruv’s initial denial to go to Tel Aviv, and how they proposed to the other three runner ups. He outlined that the real reason of the withdrawal is the bad relations with Russia, and the state of war they are in, the Ukrainian music industry, therefore the chosen acts. The last two competing acts, Yuko and Anna Maria, weren’t asked at all since the first one is of Russian origin and the parents of the second one work in Crimea in a service of Russian interest. It seems to me that now, in this situation, this is a crisis for which there is no definite, correct answer, because society is divided. “The National Selection-2019 revealed and attracted the attention of our society to the systemic problem of the music industry in Ukraine: the connections of artists from the show business in the territory of the aggressor state, which are still very close at the 5th year of the military conflict. For a part of society, this fact is acceptable, in the other part it causes indignation and rejection. Each participating broadcaster is responsible for the selection of their act for the Eurovision Song Contest in accordance to the rules set out by the European Broadcasting Union. It is with sadness that the EBU can confirm that Ukraine’s broadcaster UA:PBC has informed the EBU that, following further discussions, they have made the difficult decision to withdraw from the 2019 Eurovision Song Contest. There will be further discussions between the EBU and UA:PBC on this matter but we hope to see them again in 2020. However, for now, we look forward to what is already shaping up to be a fantastic event in Tel Aviv in May.